The GlowHost Cloud is completely dynamic, allowing you to add resources like more processing speed, more RAM, more disk space or more network speed or additional data transfer on the fly, no reboots or downtime required. Unlike traditional VPS, your virtual machine will live on a cluster of servers including multiple application servers, and enterprise grade SAN storage from HP StorageWorks. Traditional VPS usually lives on a single clunky which can cause extremely long downtimes in the event of hardware failure. Our cloud hosting service allows you access to a conglomerate of hosting horsepower which is at your disposal whenever you need it, and virtually eliminates downtime caused by hardware problems. You have complete root access, so all settings, scripts, modules and even the operating system and OS environment can be catered to your specific needs. GlowHost has the best shared web hosting around. If you don’t agree, use our 91 Day Guarantee and get your money back. We offer instant setup, so you can be online in seconds, not days. 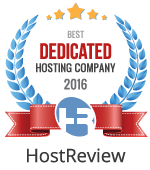 We offer several shared hosting plans to meet any project goal. Our shared hosting plans are certainly not the cheapest shared hosting plans that you can find, but why would you want to shop for hosting on price alone? You can still get a month of extremely reliable hosting service with fantastic support for less than the price of your daily cup of coffee, right here at GlowHost. Our customers asked for it, and now it is here! The web hosting industry is trending towards Unlimited Hosting packages. Unlimited hosting packages are generally more restrictive in the content that you are allowed to host on your web site, with the benefit of you can host as much allowed content as you wish without having to worry about disk space and transfer limits. Unlimited web hosting is great for small personal sites, and in some cases, is a good choice for very small businesses that wish to have a simple web presence at an affordable price. Unlimited plans do not support FFmpeg. Right now on selected plans GlowHost is giving away, absolutely free, the domain name of your choice, just as our little way of saying “Thanks” for signing up with us as your web hosting provider. Should you decide to stay with GlowHost, simply maintain your web hosting with us to take advantage of the free domain name offer, and your domain is free for life. Don’t like our services? You are free to transfer the domain name out and take over the annual registration at the domain registrar of your choice. We offer a several money back guarantees, so you have absolutely nothing to loose, and a free domain to gain just buy trying us out. Simply looking for an inexpensive domain? Try domain registration at Instapro.net or get your own free domain name reseller account when you purchase a web hosting reseller account from GlowHost. Want to accept credit cards on your web site? Perhaps you are looking to encrypt the data that is transmitted to and from your users in a private area of your web site, or are looking to improve customer confidence? What ever the reason may be, GlowHost offers several types of SSL certificates from simple SSL to EV SSL (the type of SSL that turns the address bar green in most browsers). GlowHost also offers SSL installation services and dedicated IPs for your SSL. GlowHost.com’s PCI Scan Compliant server solution includes proactive response to server issues which include performance tuning, service reconfiguration, IP filtering, uptime monitoring, security hardening, managed firewall, hardware replacement and reboots should the need arise. Our PCI Scan Compliant managed servers are guaranteed to pass the PCI scans that are required by most merchant account vendors. Ask us about our PCI Compliant Dedicated Servers for Enterprise or PCI Compliant Cloud Servers if you require more than a passing scan result or are looking for a full blown PCI Compliant Hosting Solution or need to pass a PCI audit. Make money reselling web hosting with Glowhost. Reseller hosting packages are excellent for people who want full control over their own brand of web site hosting. Brand your control panel with your corporate logo, colors, and look and feel. Offer video support tutorials to your customers in your own brand name and logo, and bill them with the included, fully brandable billing software. Order a white-label cPanel reseller account from GlowHost and start making money today!